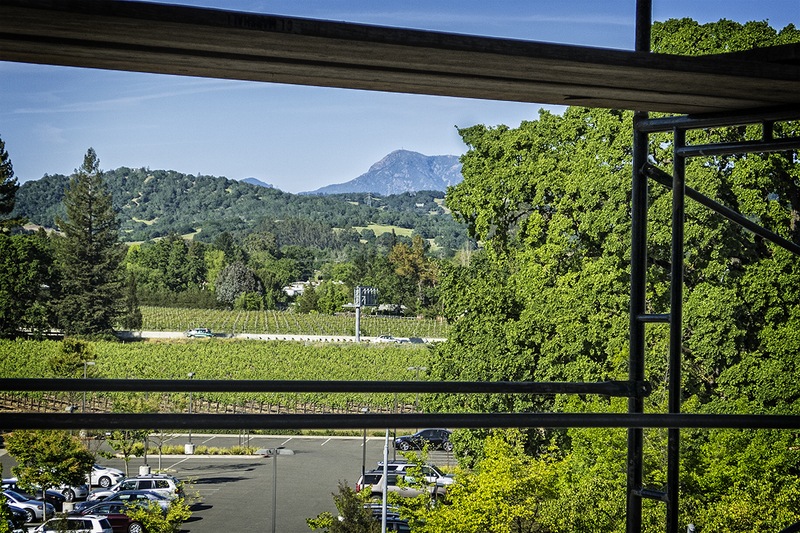 Quick update to the recent blog post on the AIA Redwood Empire volunteer day for Habitat for Humanity of Sonoma County. What I didn’t mention is that we brought the GoPro camera and had a little fun capturing our work. 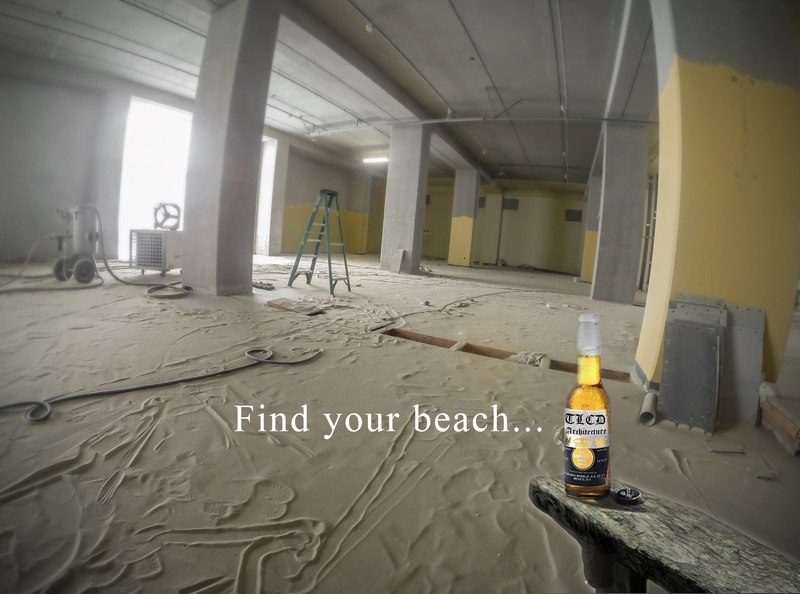 You’ve heard of the “birds-eye” view, we thought strapping the camera to a shovel would add an interesting perspective! For more information on the AIARE Volunteer Day, read more here. 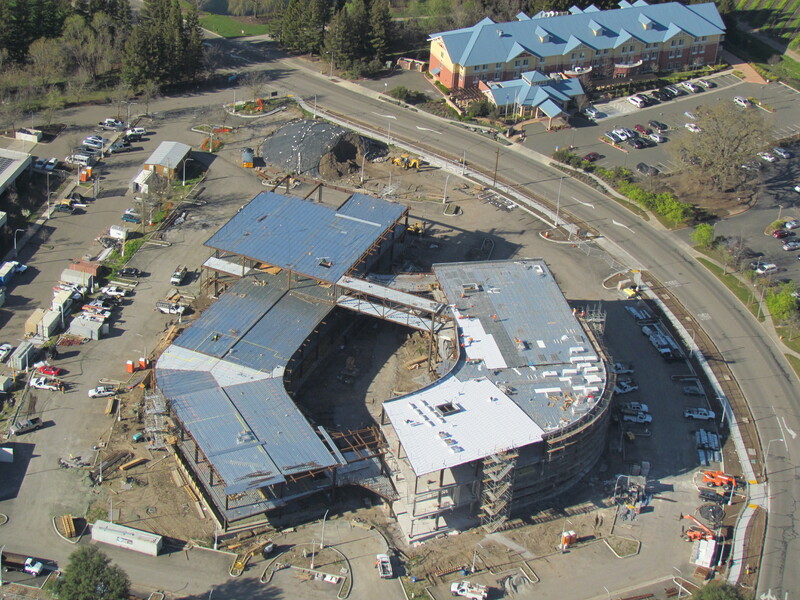 Recent aerial photographs show the new American AgCredit headquarters building taking form at the Airport Business Center in Santa Rosa. The project, designed by TLCD Architecture clearly show how the two buildings that comprise this 120,000 square foot complex wrap around to enclose a central courtyard, and how the buildings are connected by pedestrian bridges at each end. 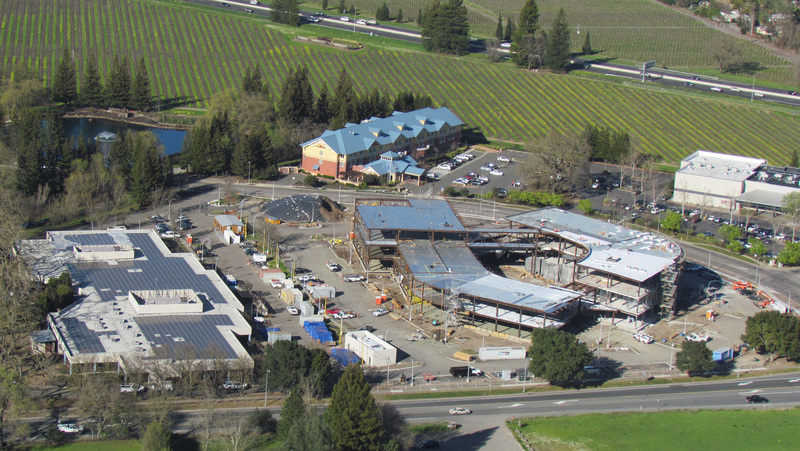 The new Academic Center for College of Marin is currently at 60% construction and scheduled for completion in April 2015. 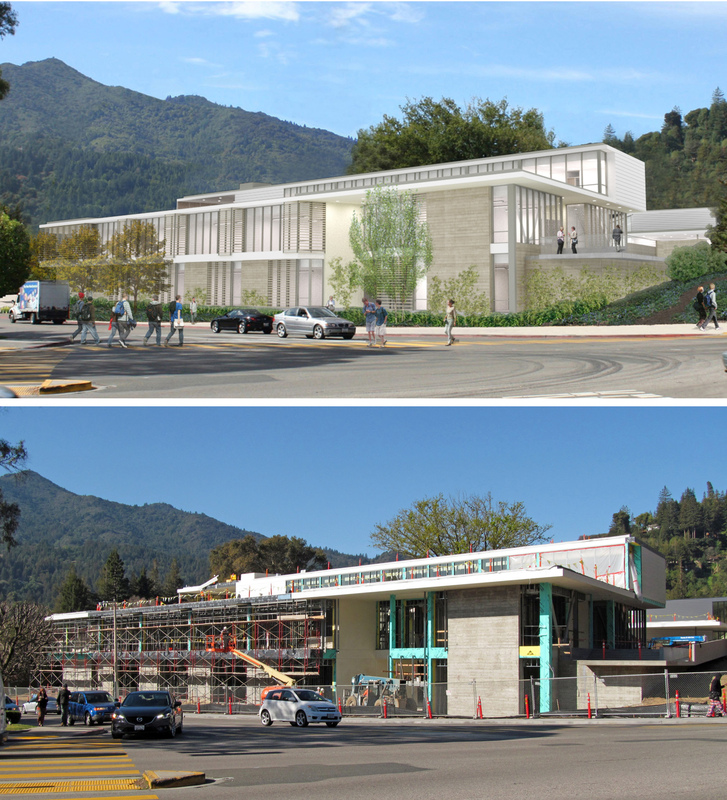 Located on the corner of College Avenue and Sir Francis Drake Boulevard in Kentfield, this project replaces 3 aging academic buildings and Mexican restaurant formerly located on this prominent corner. 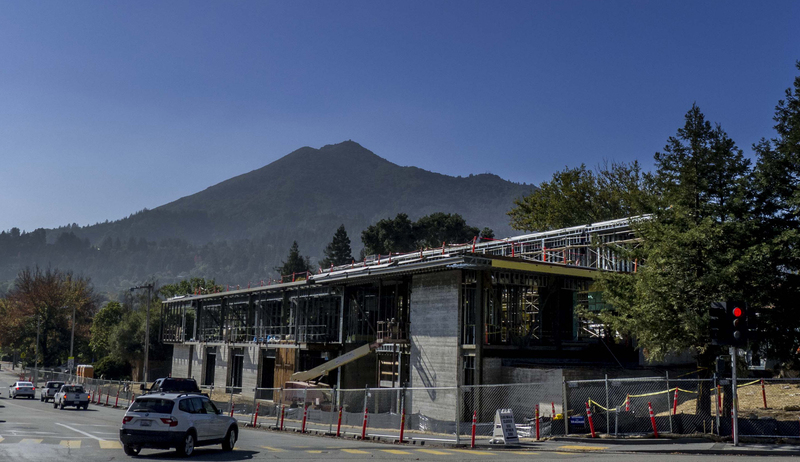 Set against the backdrop of Mount Tamalpias, the Academic Center will provide a new and iconic identity for the college. 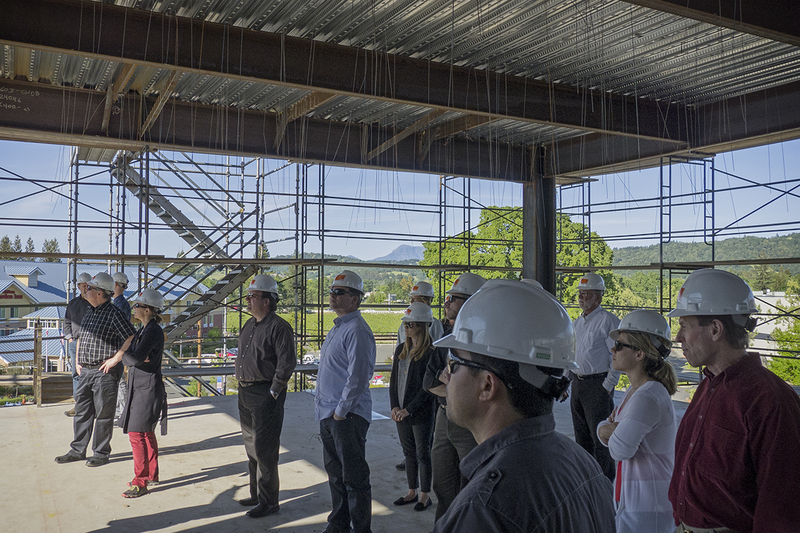 The new building will house classrooms, as well as faculty and administrative offices. 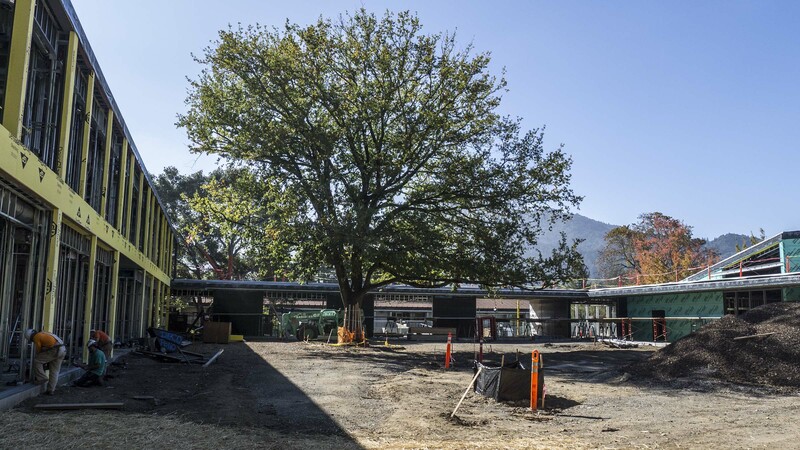 A central classroom atrium and a courtyard built around a majestic oak on the upper level will make this a most distinctive academic environment within the college. 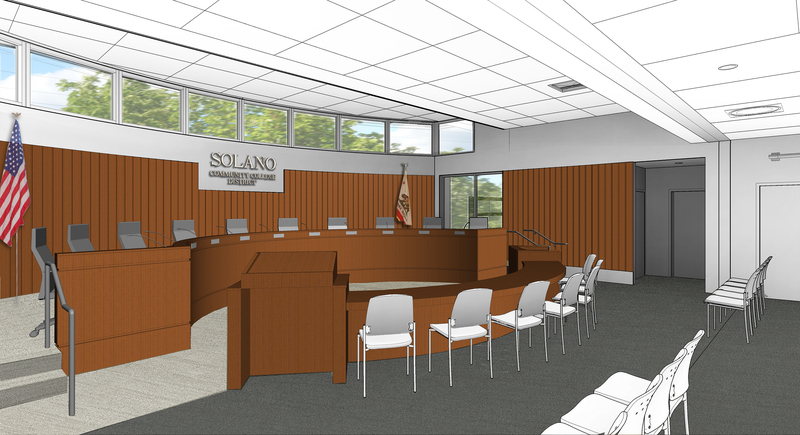 The project is the result of a design competition won in a collaborative effort with TLCD Architecture of Santa Rosa and Mark Cavagnero Associates of San Francisco. 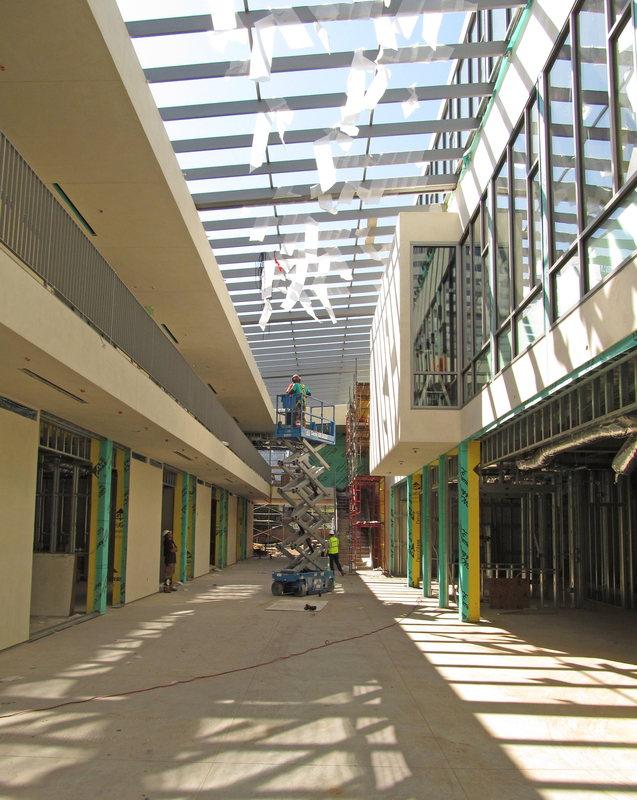 The Academic Center was developed with substantial input from the students, staff, faculty and community in a series of workshops and public forums.